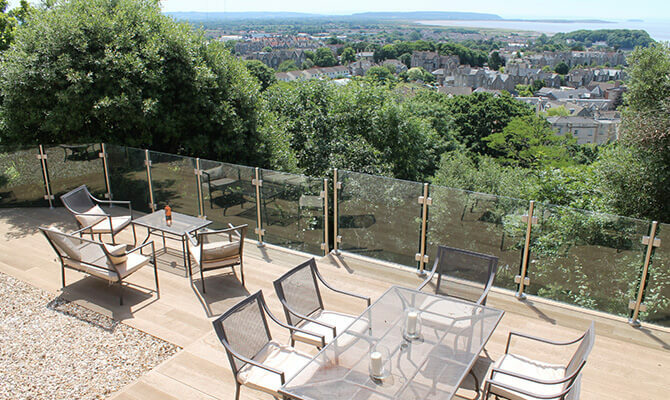 Mounted high up overlooking the Bristol Channel this stylish glass balustrade project was designed and installed by the property owner, with all components manufactured by S3i group. 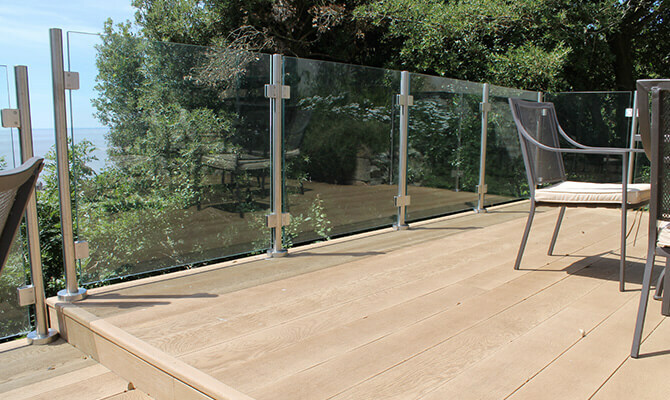 This well thought out installation uses our 48.3mm post and glass clamp system with 17.52mm toughened & laminated glass. 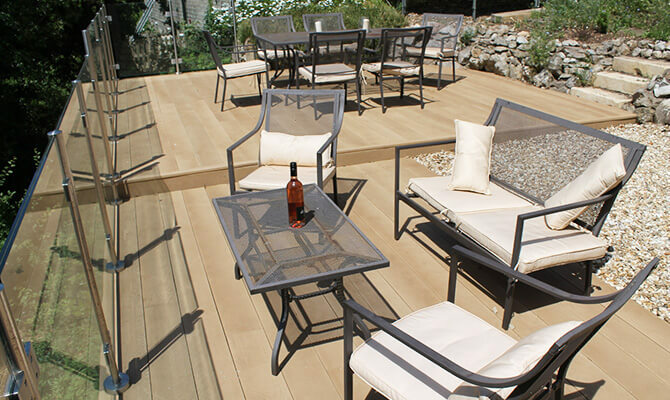 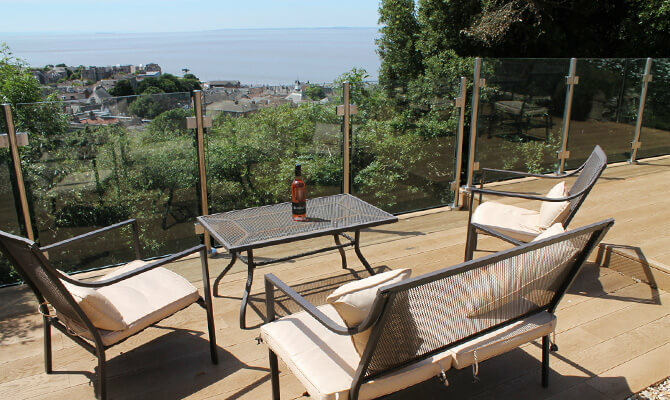 Using a glass system allows for perfect, unspoilt views from the decking area across the Bristol Channel. 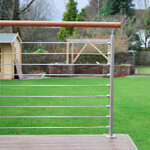 Stainless Steel balustrade posts have been directly mounted on to the timber decking frame. 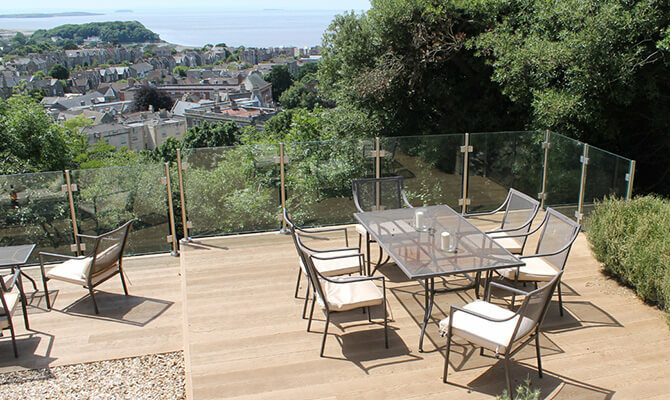 Not only does the decking balustrade act as a safety perimeter, but will also due to the elevated position shields from winds and breezes. 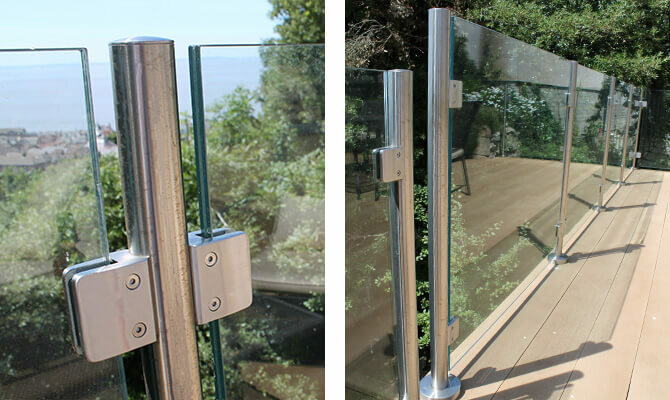 All posts and glass clamps are manufactured from 316 grade stainless steel, this will ensure longevity in outdoor environments.